I always thought Rubik Cube as a tough puzzle but I never thought that someone could create a great piece of art using Rubik Cubes. 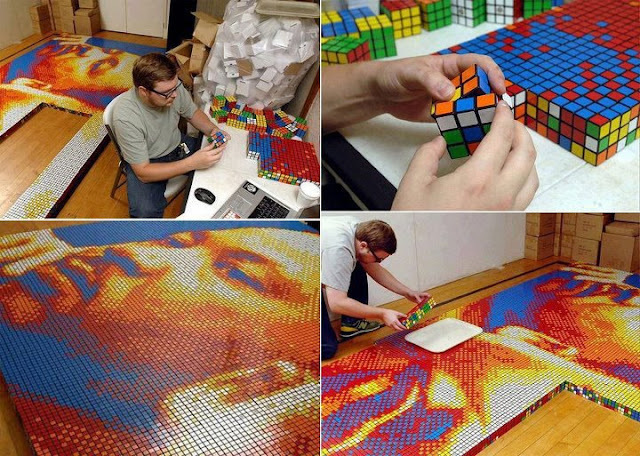 Here a wonderful face portrait is made by arranging Rubik Cubes. A great piece of art indeed. One creating this artwork should not only be a great artist but also a great Rubik Cube solver as each cube needs to be solved in a particular position be to part of this picture. A big salute of this artist.